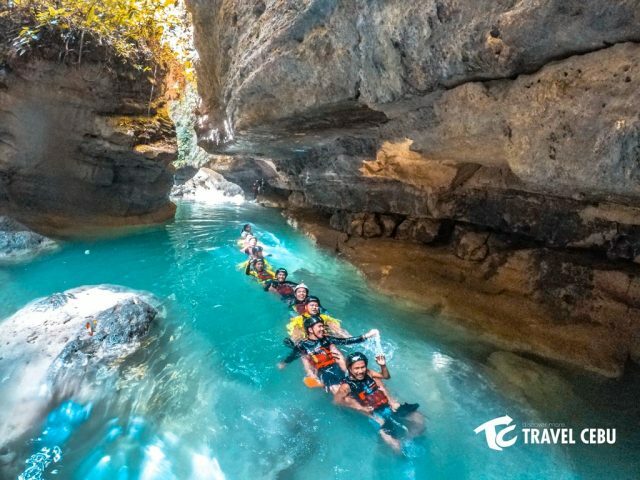 Canyoneering in Cebu, Philippines is an adventure that satisfies your thirst for both thrills and for nature tripping. There is something unique in Cebu canyoneering that may not be found somewhere else. This type of canyoneering is different so that the location has breathtaking tropical vibe- with trees, streams falls…besides the rocks and hills, you will be climbing on. It gives you many experiences – from hiking and climbing to swimming and jumping off cliffs. 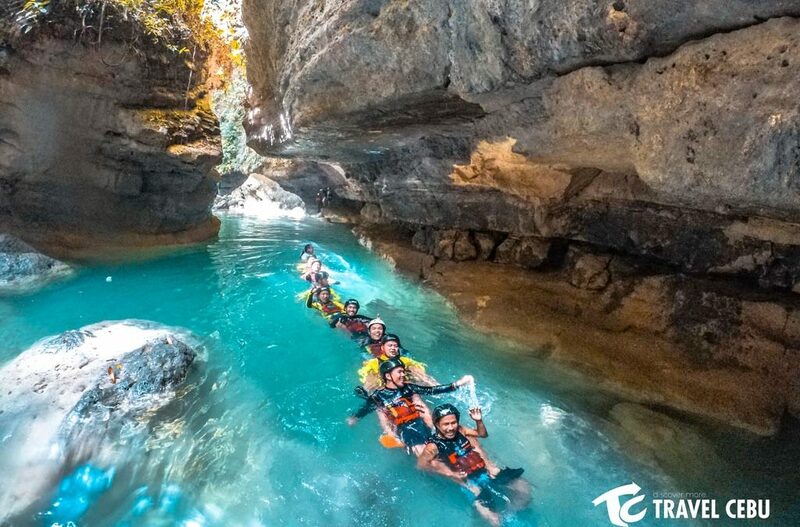 Canyoneering allows you for team bonding with family and friends as you slide together and help one another in every challenge Cebu canyoneering presents to you. This is budget-friendly – with the four to five-hour activity, and all its perks, the cost is 1,500 pesos or 29 US dollars! You can pay for Cebu canyoneering adventure on site on our website. The activity is in Kawasan Falls in Badian. Badian is in the south and is approximately a three-hour drive from the city of Cebu. There are two ways to get to the site. Or you can take public transportation. The South Bus Terminal provides rides via van or bus. 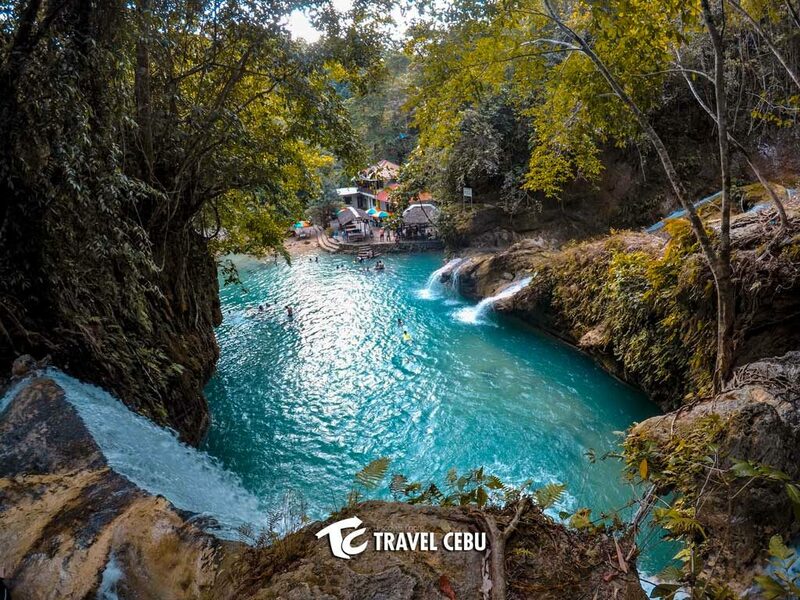 Since the Kawasan Falls is one of the most famous attractions in Cebu, the driver will know where to stop. Be sure to leave early as traffic can be heavy at later times of the day. The best time to travel is at 6:00 am or earlier. Arriving early means you can enjoy breakfast at one of the area cafeterias near Kawasan Falls. The mini stalls there sell affordable Filipino meal. What you will need for this activity. Canyoneering is exhilarating. There are essentials you will need to participate in this activity. Since there is a lot of hiking and swimming, you’ll need to be at least mildly fit to participate. This is safe for all levels of fitness but it can be tiring. You will get thirsty along the way, it’s best to bring along extra bottles of drinking water. A pair of reliable shoes is important in canyoneering. Remember you have to do lots of walking and climbing. Hiking or rubber shoes are advisable to ensure you can get through the day without hassle. Do not let a once-in-a-lifetime moment slip away. Document how you have jumped off a cliff and swam in crystal clear waters by bringing a waterproof camera. 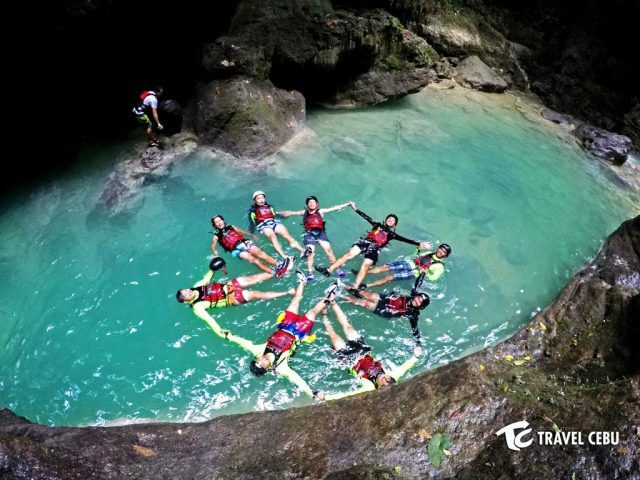 Since you will be bathing in the waters for during your Cebu canyoneering, a dry bag is recommended to protect your belongings from getting wet. A protein bar, chocolate or cookies can give you a lift during the exhilarating activity. Pack a few snacks to enjoy. Dressing properly is important during this activity. To prevent you from scratches or sunburn, it’s best to cover up with a rash guard and sports leggings. The sun gets intense in Cebu and much of the canyoneering is done in the open. Protecting your skin is very important so don’t forget your sunscreen. You don’t want your phone or camera batteries to die just when you’re about to take the best photo or video chat with your family or friends. Makes sure you have extra batteries for your electronics. Licensed canyoneering guides will meet you at the location. You will be given an orientation about the activity and provided with life vests, gears, and helmets. The 20-ft cliff where you will enter is a 15-minute walk. You then glide with your teammates over rocks, enjoying the scenery and canyons and ending in splashes towards the streams. 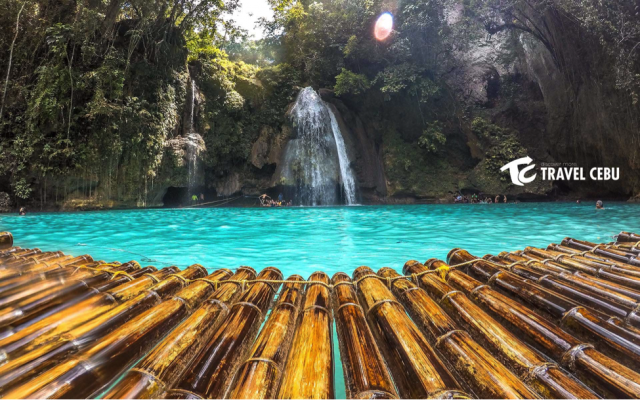 Your adventure brings you to the Kawasan Falls, a 35ft exhilarating jump! Your day ends with a lunch (which is included in the price) beside the gatoride-like Kawasan Falls. Cebu canyoneering is one gratifying undertaking with loads of nature appreciation, exciting pursuit, and a chance for family/peer bonding. This article is intended to give you a broad overview so as to equip you for the adventure of a lifetime in the Queen City of the South.